Being able to work from home can have a lot of benefits, not the least of which are the short commute and the ability to go to work in your jammies. 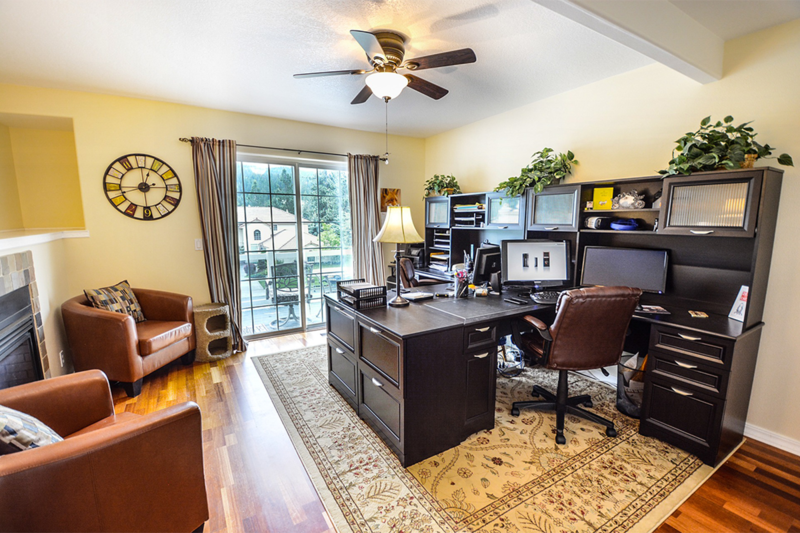 But when home meets office, it can also raise several issues, including security and efficiency. In recognition of Home Office Safety and Security Week, we offer the following suggestions. IT considerations to protect your electronic files, such as backing up critical data to a remote server. If you lose your computer or external drive to fire or theft, an off-site server provides an extra layer of protection. Secure, fire-proof storage for important hard copies of documents. An off-site safe deposit box is a good bet, or a fireproof safe bolted to a cement basement floor. Protection against power surges. In addition to using surge protectors, consider having an electrician perform a wiring inspection to make sure everything is up to code and has sufficient power. Smart locks. Most people think of smart locks for their external door, but for extra security, we can install one on your office door as well. This allows you to have total control over who has access to your office, even when you’re not in it. A security system. If you don’t already have a home security system, it may be a good time to invest in one. We can add a smart doorbell or incorporate a camera by the door, which enhances not only your safety, but also your efficiency. You’ll be able to see who is at the door from your office and choose whether to answer. You can even speak to the visitor through an intercom, or unlock the door, without ever leaving your chair. Tired of hearing the kids yelling your name throughout the house while you’re trying to work? Wireless intercom technology can reduce the shouting—although controlling the frequency is still up to you. If you need an assistant, but don’t have the budget for a staff, talk to us about virtual assistants like Siri and Alexa. We offer smart technology that works with what you already own and that you can customize for your specific needs. Balancing home and office can be tough, even when they are both in the same place. Let us help you make sure both run as safely and smoothly as possible with the latest smart technology. Visit our West Springfield showroom or contact us today to schedule a free consultation in the comfort of your own home…and office.